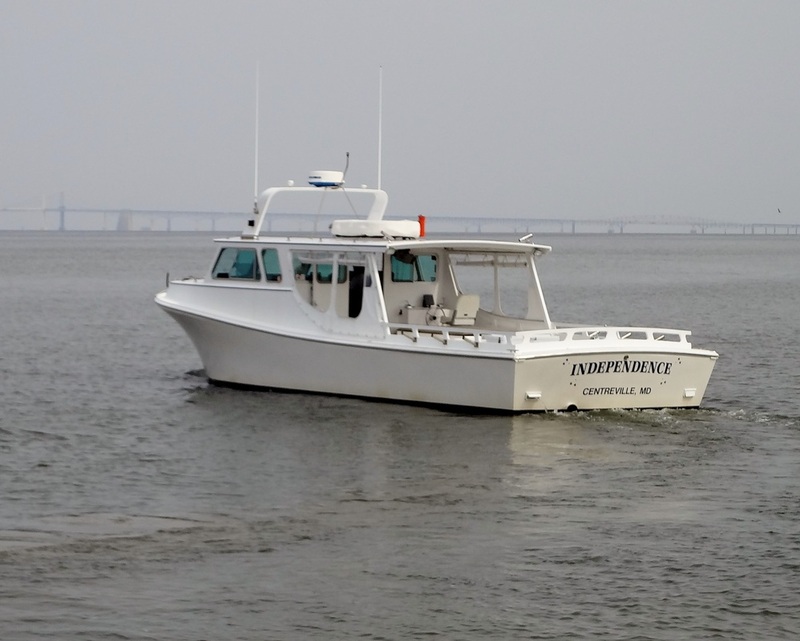 A 42 ft. diesel powered custom boat that was designed strictly for the charter fishing industry. 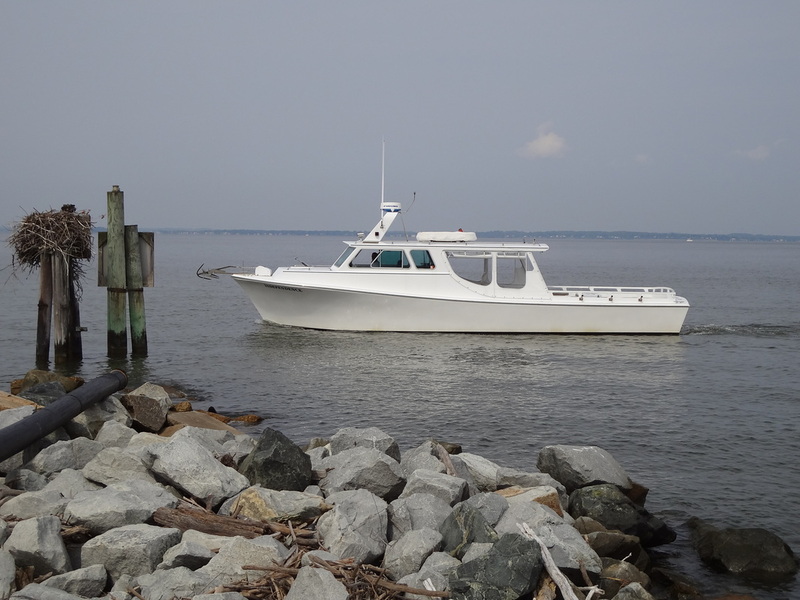 The solid fiberglass hull was built by master boat builder Phil Jones of Hoopers Island, Maryland. 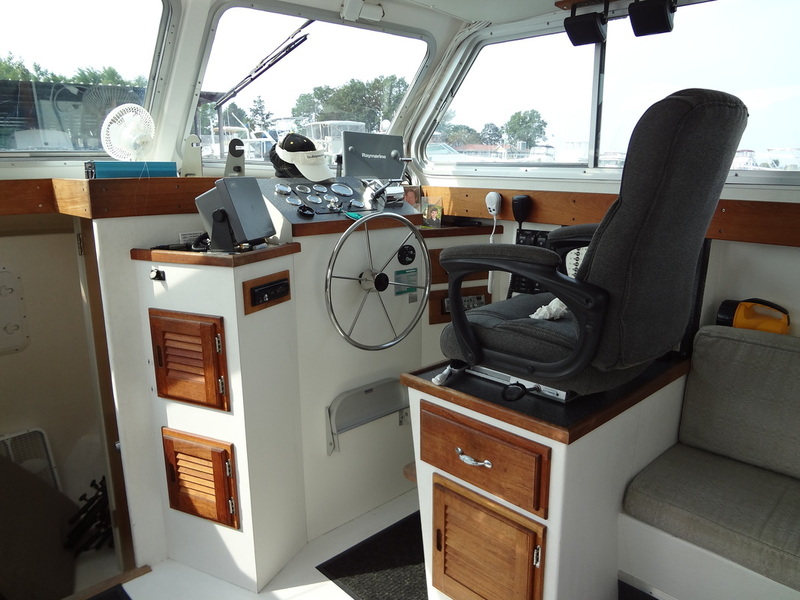 The rest of the boat was designed and built by Captain Joey. A process which was five years in the making. 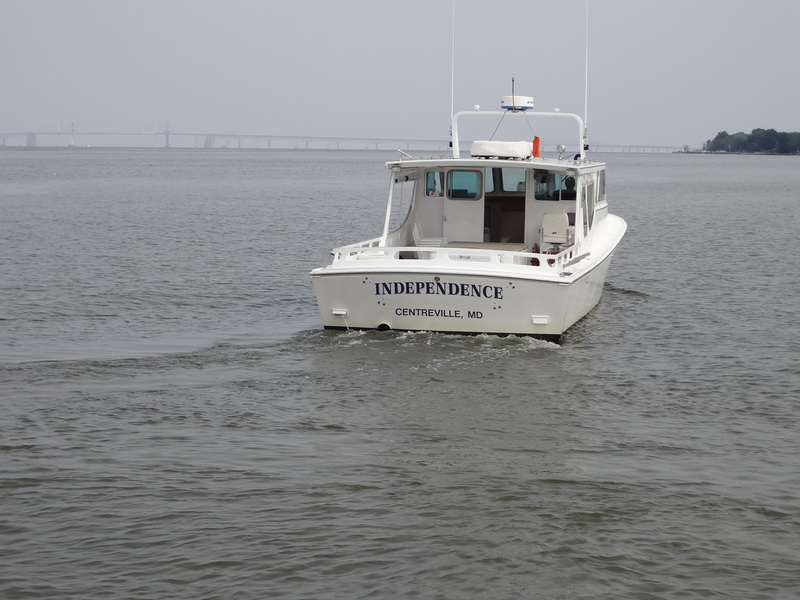 Captain Joey used only the finest materials available and equipped the vessel with the latest in electronics.The "Independence" is Coast Guard certified for charters up to 18 passengers and is equipped with the latest in safety equipment. 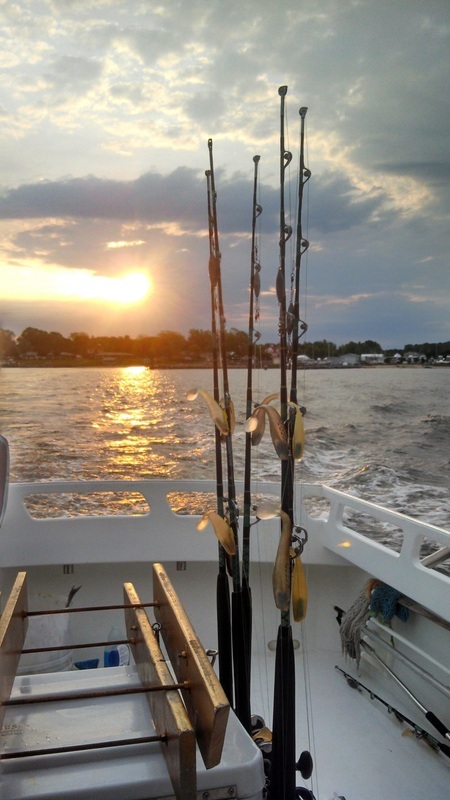 ﻿﻿﻿​﻿Whether you are fishing for stripers or hunting for sea-ducks. Is a great way to treat your family, friends or clients to that much needed getaway!!! Capt. 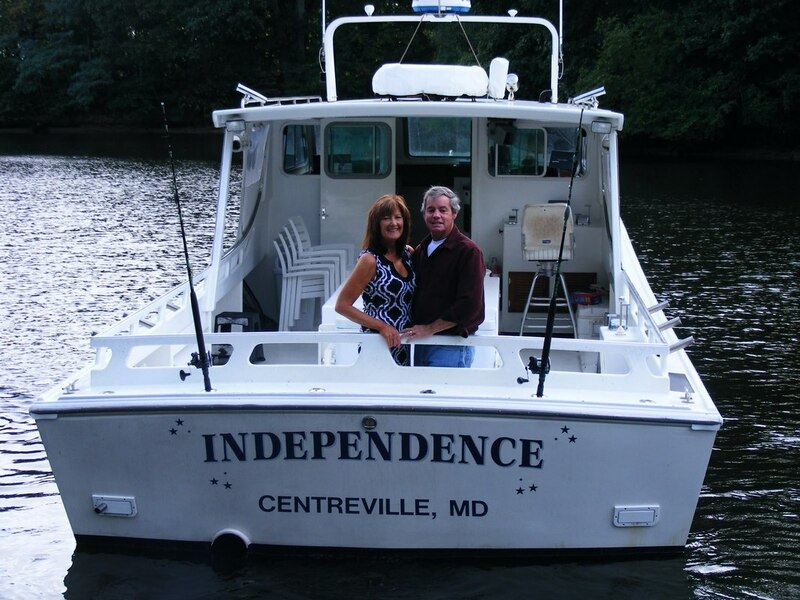 Joey is a second generation Charter Captain with the knowledge and the experience. 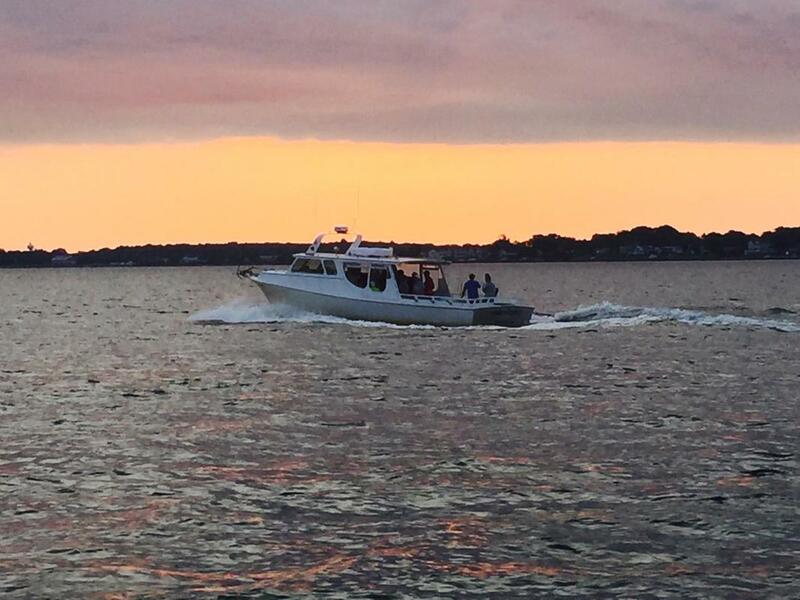 Morning or afternoon fishing charters available, May through November. Sea-Duck hunting October through January, also combination hunting and fishing charters (cast n blast), October and November. The boat is docked at Kentmorr Harbor Marina, located in Stevensville, on Maryland's Eastern Shore. Less than one hour from DC, Baltimore and Suburbs. 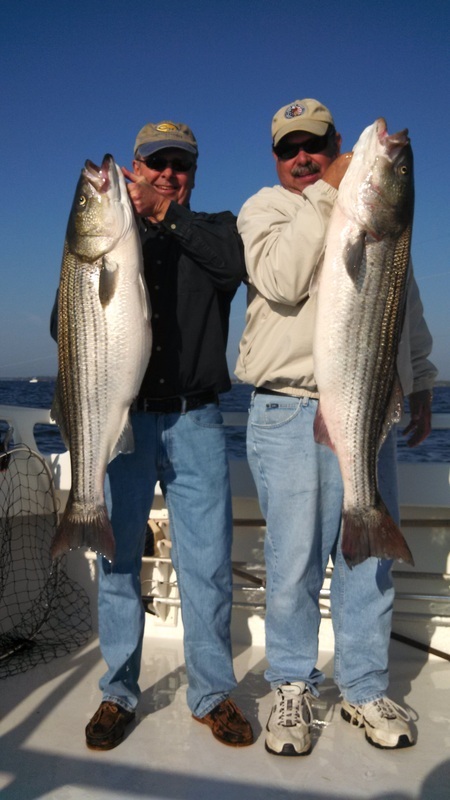 Check the latest long-term fishing conditions report put out by the Maryland Department of Natural Resources.